Post Colors TV's Bigg Boss 11, Karanvir Bohra has had a busy schedule. From making several appearances at the events, meetings and other places, Karanvir is having a tiring time. 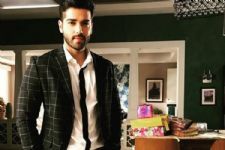 Amidst all of these, the Naagin 2 actor flew to Moscow day before yesterday afternoon for an Indo-Bollywood film festival and faced trouble. He was detained at the Moscow airport as his passport was damaged and it created a problem. However, soon it was settled. 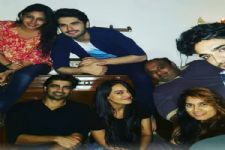 And the actor was seen in a happy mood with Barun Sobti, who also went for the same. But trouble seems to be running after the actor. It happened so that the actor's taxi was hit by another taxi. Although Karanvir was completely safe and nothing major happened. He took to Instagram to share the entire incident and wrote, "WHY DOES THIS ONLY HAPPEN TO ME. Im experiencing every kind of adventure in Moscow"[sic] The video shows that as Karanvir narrates the situation, the police arrives and takes care of it. Meanwhile, sharing about the passport debacle, a source told us, "Karanvir has been detained as the Moscow airport as his passport was somewhat damaged. The damage wasn't caught at the Indian airport and hence after Karanvir reached Moscow, it was the Russian immigration that spotted it. While Karanvir had been at the airport for the four long hours, we hear that the Russian embassy, the Indian embassy and a lot of other people were working towards getting the issue sorted and having Karanvir enter the country and attend the festival he was originally there for. Karanvir had been extremely patient while the Russians, of course, have understood that he's an extremely popular Indian celebrity and have been making sure that he's treated well in their country." BARUN SOBTI, The most talented actor, the most handsome man!!! God bless you.."""
Barun Sobti, i love your short film promo Derma. Now, I'm very excited for this short film. 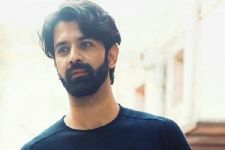 Barun Sobti, I am proud that I am your fan, you are the most amazing actor and charming man -""""
Barun sobti,, You are so damn handsome and most beautiful actor in the world Love you so much Barun..